Hogue Knives' EX01 Tactical Folder from their Extreme Series is now available as an automatic opening knife. The action is smooth and lockup tight via the button lock mechanism. 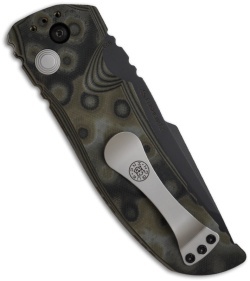 There is also a front mounted safety to lock the blade. 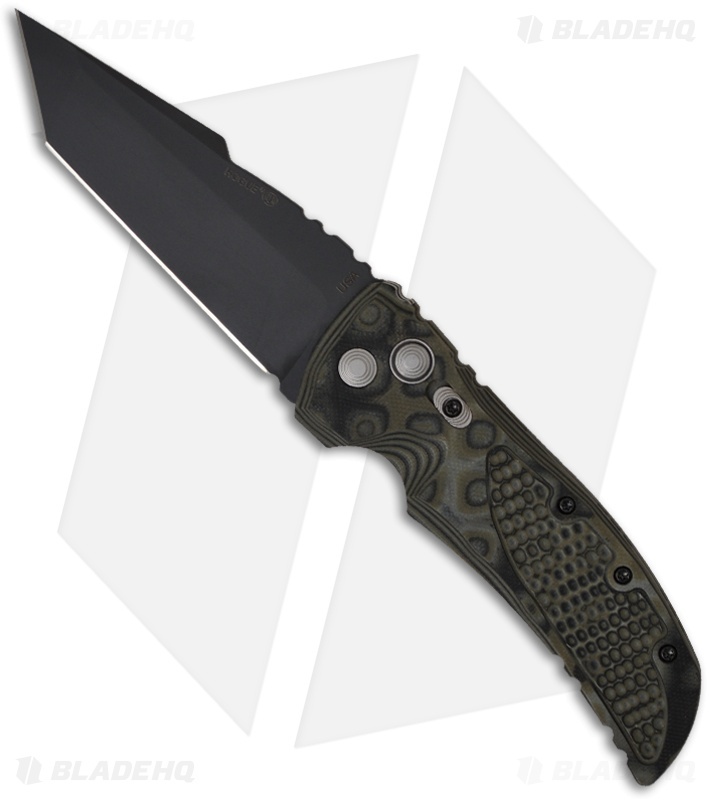 The green G-10 handle features a pattern the creators call "G-mascus" (G-10 & Damascus). The front of the handle has piranha texture for a better grip and a large reversible pocket clip on back for tip-down or up carry. The tanto style 154-CM tactical black finished blade has a razor sharp plain edge.